Podcasts are a great way to go behind the cymbals and the music and dive deep into the lives and experiences of today's best drummers. 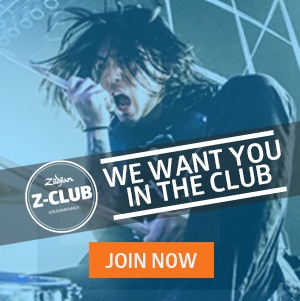 They provide an incredible opportunity to get up close and personal with your favorite drummers, learning about their beginnings, their influences or the details on how they landed their dream gig. They are also a great way to discover new drummers and new music through honest and real discussions led by some great hosts. To help you get inspired or to simply help you stay connected to the drum world while on the road or driving to your day job, here are 5 great podcasts and hosts who are doing it well. Dave started his podcast back in 2012 and posted his 100th episode in March of 2016. While he seems to have taken a break on posting new episodes as of late, you will find an incredible list of episodes featuring many of the world's best drummers on his Podomatic page as well as iTunes and other podcast channels. Some of his best discussions are with Zildjian Artists such as Steve Smith (Ep 16), Kenny Aronoff (Ep 19), Zach Danziger (Ep 40 & 74), Hal Blaine (Ep 49), Eric Harland (Ep 52), Nate Morton (Ep 82) and even comedian and avid drummer, Bill Burr (Ep 94). 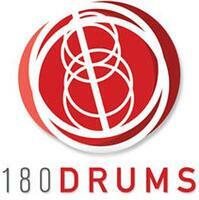 The guys at online drum education website, 180drums.com, led by Jake Nicole began recording their podcast in late 2015. They seem to really be investing in podcasting, posting 16 episodes thus far in 2017. In addition to some great interviews with many of today's popular drummers, they cover unique topics such as moving to Nashville, how to tune drums, how to gain value on Instragram and some in depth discussions with members of Zildjian's own Artist Relations team. Some of my favorite episodes have been with popular Instragram drummer, Jeff Randall (Nov 25, 2015), the Young Swanger, Bryan Carter (Jan 10, 2016) and Slipnot's Jay Weinberg (Feb 1, 2017). Download or listen from their website, iTunes and other podcasting channels. 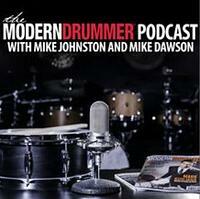 "The Modern Drummer Podcast with Mike & Mike"
Modern Drummer delivers an informative podcast featuring MD's Managing Editor, Mike Dawson and online education power house, Mike Johnston. They deliver a steady flow of new episodes, posting 3-4 times per month. Each episode features a back & forth discussion by Mike & Mike as they talk about MD's cover artist or others featured in the book, but they also deliver great product reviews and valuable educational tips. Check out Episode 90 as Mike & Mike review Zildjian's K Custom Special Dry Collection and Episode 88 where they discuss the legendary Steve Gadd. 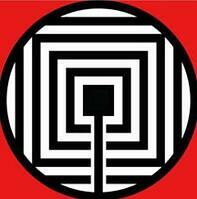 You can hear or download 90+ episodes on their website, iTunes and other podcast networks. "The Trapset with Joe Wong"
It is hard to find a more authentic and natural host than Joe Wong, a LA-based drummer and composer who recently posted the 125th episode of The Trapset. Joe establishes an incredible rapport with each guest, posing thoughtful and intelligent questions that go deep into the personal story and journey for each drummer. Some of his best episodes are with Steven Adler of GNR (Ep 21), Fred Armisen of SNL (Ep 32), Glenn Kotche of Wilco (Ep 39), Bun E. Carlos of Cheap Trick (Ep 46), the legendary Dennis Chambers (Ep 59), Peter Erskine (Ep 68), and most recently Jason McGerr of Death Cab for Cutie (Ep 123). All can be found on his website (www.thetrapset.net) as well as iTunes. 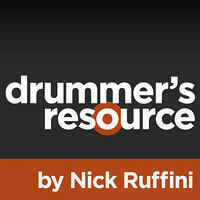 For the most comprehensive library of drumming podcast, look no further than The Drummer's Resource by Nick Ruffini. Nick recently posted his 272nd podcast and continues to fuel the channel, launching two per week. Here you find in-depth interviews with many of the top drummers playing today along with episodes dedicated to delivering expert advice. Some stand-out episodes are with Ed Soph on "Teaching Drummers How To Make a Living Playing Music" (Ep 89), Simon Phillips on "Blending Technical & Musical" (Ep 59), Gerald Heyward, the Godfather of Gospel drumming (Ep 109), Keeping it Real" with Thomas Pridgen (Ep 148) and Keith Carlock: "Locked In" (Ep 237). All are available on his website here and on iTunes. Bonus podcast: "The Rock N Roll Archeology Project"
The Rock N Roll Archaeology Project focuses on the origin, the story, and the cultural, social and political relevance of the Rock N Roll art form. The host, Christian Swain crafts an incredible narrative that digs deep into the iconic moments, musicians and influencers who led us to where we are today. They also feature other podcast series which are great, but I highly recommend you start from Episode 1: The Precursors and take the journey through the decades. Find it online or iTunes. Bonus podcast: "Discussions in Percussion"
This recently launched podcast is lead by hosts Marcos Torres and Damon Grant, two professional percussionists who talk with "musicians who hit, scratch, and shake stuff." You can find episodes on their website here and iTunes. 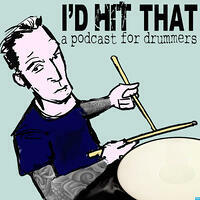 Do you have a favorite drumming podcast or episode? Please share them with us! !